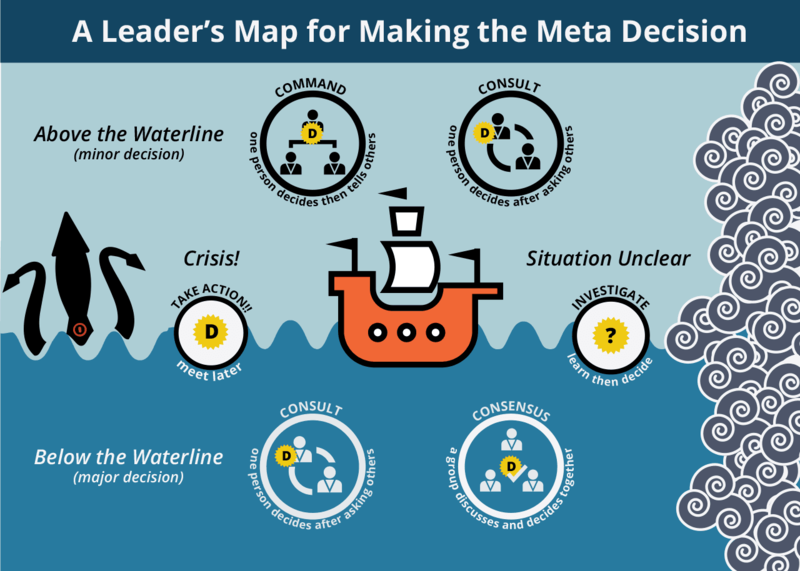 This post is excerpted from the article Making Decisions in Meetings, originally published on the Lucid Meeting blog. Making good decisions is one of the leadership team’s primary job responsibilities. But decision making is tricky stuff. Recent research by cognitive and behavioral scientists shows that the way individuals make decisions is far from logical, and it doesn’t get any easier when you get the group involved. Even then, making a decision is just the start. Decisions should lead to action. The process used to arrive at a decision has a big impact on both the quality of the decision and the team’s commitment to the follow-up action required. Determine whether the decision is risky or especially rewarding, and if the situation is simple, complicated, or complex. When you need a tie breaker, deciding between two options with equal and passionate support. Why isn’t Count Votes on the map above? Because you don’t need a map to know when you’re in a board meeting, and for other situations, Counting Votes shouldn’t be one of your go-to processes. There is both a science and an art to making decisions, and we’ve only scratched the surface here. To begin with, share this article with your team and bring some clarity to your decision-making meetings. When your team recognizes and can talk about how a decision will be made, they are much more likely to arrive at a quality decision. 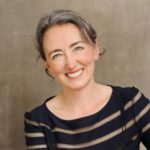 Elise Keith is the founder of Lucid Meetings, a company working to transform what it means to run successful meetings in the digital workplace. She lives in Portland, OR USA with her three children and husband co-founder.